EIA continues to project conservative renewable growth. The authoritatively viewed administration just can’t seem to get it right. It continues the confusion of policy-based growth, assuming renewables growth lags once subsidies end (after 2020). The EIA just doesn’t seem to get that the market is dynamic and interactive. Its approach is too static, and it seems to ignore trends like the falling prices of solar and wind compared to other sources. It is very unlikely that a curve starting from today will make a slope breakpoint starting tomorrow. Any graph that shows breakpoints should be regarded with suspicion. The graph shows coal in a slide until today, and suddenly flattens its fall starting tomorrow and for the next 2 years, only slowly declining after that. That is unlikely. Likewise, it shows natural gas on a fast upward slope, suddenly decline until after 2020. Meanwhile, renewables grow quickly to 2020, and then that growth slows dramatically, only growing 50% in the next 20 years. Meanwhile, nuclear remains flat, with prospects for growth looking dim. We have recently lost more reactors than we are building. With the average age of reactors over 30 years, it would take a rapid build cycle to replace older reactors. Looks like the EIA decided that the renewables tax extensions would boost development for that period and renewables could not grow for the following 20 years without them. Further, it looks like the organization judged that renewables would not reduce coal, but would compete with gas. There is no justification for this. Wind continues to grow at a 5-year doubling rate, about 14%, or double-digit annual growth. Look for other states besides Texas to get much more serious. Think Kansas, Oklahoma, Nebraska, and the Dakotas. Montana and Wyoming are also potentially big. The expansion of wind to the eastern states continues with tall towers, and offshore starts off the East Coast and in the Great Lakes. Capacity factor rises in all locations. Solar continues its meteoric rise, doubling every 2 years, with California, Texas, New Mexico, and yes, even Nevada leading the way. By 2025, solar is up there with wind in capacity, but lags a bit in electricity generation due to wind’s increased capacity factor. CSP with thermal starts to come on strong as 24/7 and nighttime demand becomes a lucrative market. Energy markets switch to valuing nighttime electricity equal to daytime as solar provides adequately for daytime needs, especially in summer. Solar and wind become major percentages of electricity generation. 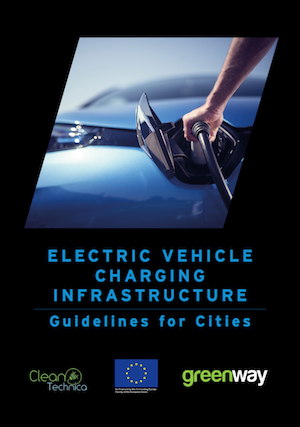 At the same time, there are millions of electric vehicles opportunity charging, and also V2G — during the day at work, at shopping malls, and at night at home. The V2G storage provides a huge buffer for demand variation, and the demand curve changes and becomes more adaptable as demand management becomes pervasive. Nuclear continues its slide, as new reactors are shunned by private financing and government interest wanes while it becomes apparent nuclear is a losing cause — purely on a financial basis. Coal dwindles as natural gas capacity rises, but generation pauses as renewables reduce fuel demand. Too bad EIA can’t run the numbers with ideas like that. Then it might have something. EIA’s conservative numbers are an old story. They are getting better, but not enough. Looking forward to the near future, we can glean some numbers. Continuing the IEEFA graph, what do we see by 2020? Coal has fallen at least 10% in the last 5 years, and I think it’s reasonable to expect that coal will fall to around 20% in the next 5 years. Meanwhile, new renewable capacity has exceeded all other sources combined and looks set to gain more of new capacity every year going forward. Almost all new capacity is renewables and natural gas. We can expect the total added capacity to be about the same for each, with a little more added for renewables than natural gas. (And that is perhaps being generous to natural gas.) Note that renewables were the largest source of new capacity globally in 2013 and ever since. With wind doubling in the US every 5 years and solar every 2, by the end of the next 10 years, wind power could be 4x today’s total, while solar could be 16x today’s total, erasing the 4x spread between them and leaving us with equal amounts from both by 2026. With US wind capacity at 75 GW and generation at 181 TWh, or 4.44% of all electric generation, those numbers would rise accordingly in 10 years as well. If growth continues at those rates, we would see about 30% wind and solar in the next 10 years, exceeding the EIA numbers.